In one of my earlier posts, I mentioned addressing fast food but had chosen to ignore it because at that time I was still eating fast food. I can proudly say today that I am not. They call it fast food for a reason. And just because it’s fast doesn’t mean it’s good for you. Sure, there are salads and wraps and better things on the chain menus these days but I was always a burger and fry guy or a chicken sandwich. I do love me a good chicken sandwich from Wendy’s. 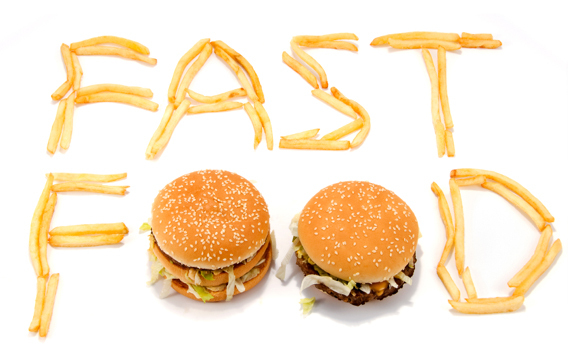 We all know it’s common sense that fast food is not good for your health or if you are on a diet. Movies have been made. Books have been written. So I’m not about to feed you a bunch of information you’ve already heard. Instead, I’m going to show you approximately how much I’ve spent on fast food the last few years. I know this because I keep a spreadsheet of all of my expenses and have done so for many years now. And fast food has always been one of those expenses I keep up with. I get paid every two weeks so I update my spreadsheet then with bills that are paid and any receipts that have gathered on my desk. For the first time in probably ever, I didn’t have any fast food receipts to record for the last two weeks! So that’s the main reason why I decided I would finally blog about fast food. This year alone, up until two weeks ago, I have spent $719.16 on fast food. Yep. That’s 3.5 car payments for me. Or if I look at my utility bill, I could have paid it for 8.5 months with that money. Or I could have filled my gas tank 27 times! In 2014, I spent $2763.13 on fast food. And in 2013, I spent $2290.98. Uh huh…if you add just these two and half years together, you’ll get $5773.27! And what do I have to show for that…nothing but some fat around my waist. I averaged anywhere from $30 to $100 or more every two weeks on fast food. It was usually a dinner for us at least two nights a week. We often had pizza delivered on Fridays or weekends which is super expensive these days. And if we were out and about on the weekends, we often picked up fast food for a quick lunch. It all adds up and we know it’s not healthy and yet we ate it anyway. Just like everyone else out there. I always laughed at the crowded menus at McDonald’s listing the calorie counts, salads, fruit, milk, or healthier choices available to you. The calories were always in fine print and did nothing but make the menu harder to read. But the numbers on your favorite combos are in big bright font, aren’t they? Eh, I’m not going to preach. Just look at the money I wasted the last two and half years on fast food. But not anymore. Giving up the majority of meat in my diet definitely helped with this decision and made it easy for us. But for others out there on the go or with kids in the house, I know it’s not that easy. But if you are a regular fast food eater, challenge yourself to go one month without it and put that money to the side and see how much you save. Do it for one work week even, especially if fast food is a staple in your routine. You can save money and save your health at the same time. You don’t have to diet. You just have to slowly change your relationship with food. You are absolutely correct on every point you made, thank you so much for sharing. We rarely eat out, not even once a month. When we do, it is to Panera for one of their awesome salads.